The ASLA Transportation Professional Practice Network (PPN) is a forum for landscape architecture issues in transportation policy, planning, design and construction. This group is dedicated to sharing information from a variety of sources and building awareness about the contributions of landscape architects in transportation. Landscape architects have a strong voice in transportation issues and often bridge the gap between colleagues in planning and engineering. Their work includes developing policies to support livable communities, planning sustainable transportation systems, designing and building streets to encourage active transportation, supporting native plant habitat and effectively manage stormwater, advocating for complete streets and roadway safety, and leading projects and public involvement processes to support transportation decision-making. In addition to a chair or co-chairs, many PPNs, including Transportation, also have larger leadership teams that include past chairs and PPN officers. Most leadership teams hold monthly calls to keep track of progress on PPN activities, and all PPN members are welcome to join their PPN’s leadership team. To learn more, see ASLA’s PPN Leadership Opportunities page or contact propractice@asla.org. What is a Transportation Landscape Architect? How do you define / describe what you do? As a landscape architect practicing in the transportation sector, explain how daily practice can/does involve topics addressed in at least three other ASLA PPNs. In your opinion, do you think that practicing in the transportation sector has broadened or specialized your practice? 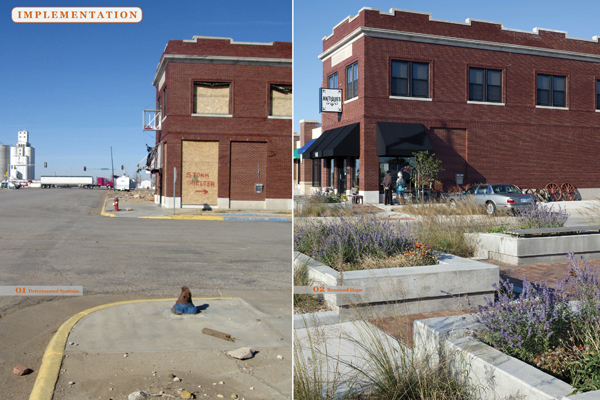 How do you as a landscape architect add value to transportation projects? Landscape Architect Supervisor, Nevada Department of Transportation, retired, 2016. As the LA Supervisor, I oversaw the creation and implementation of the Nevada Department of Transportation (NDOT)’s award-winning Landscape and Aesthetics Program. I felt it was important to promote Landscape Architecture as a profession while also recognizing the importance of aesthetics as well as sustainable design. It was important to me that landscape architecture became an integral part of the design process, from planning a freeway and site selection to using sustainable practices such as low impact development and applying sound and enduring design principles that were easily maintainable. Transportation projects are usually large, complex projects so creating collaborative and multi disciplinary teams early in the process with planners, engineers, stormwater managers, and maintenance personnel, etc., are key to a successful project. One of the first things we did was to create a Master Plan that provided the overall vision and polices and and then Landscape and Aesthetics Corridor Plans for all the major corridors in Nevada. This was done with a great deal of public input and local community and agency meetings. The ability to reflect a community’s unique heritage and culture is extremely important to the buy-in and success of not only a project, but a program. Do you think that practicing in the transportation sector has broadened or specialized your practice? Over time, I have been amazed at how many other PPNs Transportation intersects with in daily practice. I learned a LOT doing our first Design-Build project, as it was such a different delivery method than our typical design/bid/build projects. It entailed a whole new thought and planning process. Additionally, we were often confronted with fighting for Environmental Justice for projects going through disadvantaged neighborhoods, as well as Tribal Lands and the different process one needs to follow for nation-to-nation planning and coordination efforts. This could also involve Historic Preservation. Planting Design is always critical, but we were also committed to using only native or native adapted species in our projects, which took an additional commitment to reach outside the box, but also convince maintenance personnel to wait for the ultimate outcomes. That approach, as well as our dedication to preserving Nevada’s most precious natural resource, water, so Water Conservation, also led us to practice Sustainable Design and Development. Additionally, Urban Design was a big consideration when a project went through a city environment. However, due to the complexity of Transportation projects, these same, often many miles long, projects would then need to morph into a more natural, simpler design approach as it entered a more rural area. In fact, nearly all of the the PPNs can touch upon or influence Transportation. To be honest, I believe landscape architects are critical components of transportation projects, due to all of the above factors. It was a big fight for me when I first started the Landscape & Aesthetics Program at NDOT and the battles do go on, as it is difficult for old, established agencies to make such a paradigm shift as we made with the creation of that program. But over time, the typical engineering approach has changed. The engineering community, as well as the community and state at large, have come to value the program and the multiple benefits in terms of aesthetics, art, native plants, and a reflection of the community the program has brought, even if they aren’t fully aware that THIS IS LANDSCAPE ARCHITECTURE! But now the cities and communities are insisting every potential project have a landscape and aesthetic component, so I believe that landscape architecture has not only changed the face of the state in the past 15+ years, but brought about a new awareness of what that can entail. One of the things I valued most about my job was knowing that even though I didn’t get paid the “ big bucks,” I had the opportunity to positively influence hundreds of thousands of drivers on a daily basis. That’s a pretty good feeling! I’m writing my response after reading many of the others and would echo many others’ descriptions of the work we do. I was hired by a local transportation agency in 2010 during the recession. While private development had completely shut down, road construction was in a boom. I reviewed plans, enforced policies requiring landscape restoration based on pre-construction native plant inventories, and for the first few years also served as the Stormwater Coordinator, monitoring construction sites for compliance with stormwater permits. The last few years, public projects have decreased just as private construction has taken off. My job now includes mitigating the impacts of the private projects to the roadway landscape, reviewing communication tower submittals proposed in the right-of-way, and working closely with our department’s landscape maintenance supervisor. My daily practice overlaps multiple PPNs: Ecology and Restoration, Sustainable Design and Development, Environmental Justice, Water Conservation, Urban Design, Planting Design, Landscape/Land Use Planning. 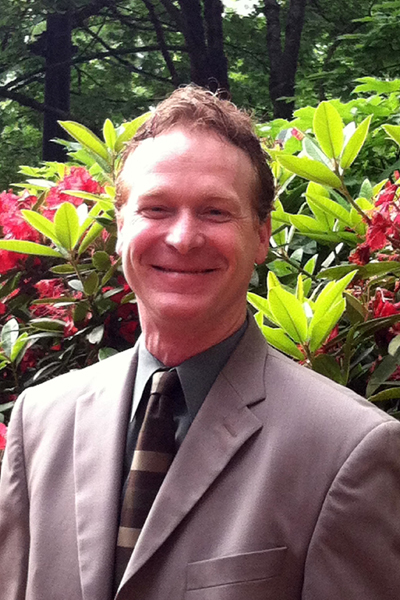 Practicing in the transportation sector has both broadened and specialized my practice. I am fully fluent in Civil Engineering speak, after spending the last 8 years surrounded by engineers. I have a much greater appreciation of government and how it functions. Coming to the transportation field late in my career, I do miss not designing parks, playgrounds, and plazas. I spend my days engaged mainly in left brain activity: evaluating, analyzing, reviewing, talking, and writing. My job is extremely social—I coordinate with a large group of people everyday, both inside and outside my agency, including allied professionals and lay people. I’m not sure whether it’s the same in other parts of the country, but in my area, engineers own transportation projects. A common perception is that the landscape architect’s role is to add plants after the project has been designed by them. I’ve tried to change that perception, asserting myself into discussions of wall and slope treatments, requesting that engineers redesign non-vehicular pathways to meander around, rather than demolish, existing vegetation, and asking for curb cuts and grading to accommodate stormwater harvesting. Much of what I comment on is obvious to fellow landscape architects, but my suggestions have been met with skepticism, suspicion, and even hostility by some engineers. Fortunately my suggestions have been supported by many of the project managers. Seeing a road widening project actively used and enjoyed by pedestrians and bicyclists makes me glad that I suffered through the criticism during the design process. Transportation Landscape Architects can have the role of ‘lead designer’ of the public realm on open space projects like transportation. That role has applicability in both the policy and project arena. Like the traditional (over simplified!) role of an architect on a building project, the landscape architect can be a systems integrator within the civil realm that helps a broad multi-disciplinary team achieve a whole much greater than the sum of its parts. Often I find myself and my landscape architect peers in transportation representing voices and perspectives not directly ‘at the table.’ The ability to do that draws from our training and background as landscape architects. Influencing outcomes through the lens of how those outcomes could impact future generations of humans, future environmental systems, or less well defined or represented current ‘users’ is an example of what I do as a landscape architect in transportation. Broadened. My current role in my organization is primarily personnel management and the function of the group I manage is focused on capital project delivery for the replacement of transit fixed assets (e.g., light rail track and stations). Some may be surprised to learn that virtually every day I am involved in discussions, issues, and opportunities associated with urban design, sustainability, and equity in that arena. As a landscape architect, I am a systems integrator with strong urban design technical skills, an understanding of how human habitats (particularly urban habitats) have evolved, and clear knowledge that future evolution can and must be harnessed for greater sustainability and greater equity while providing a habitat for humans that is truly worthy of us. As a landscape architect leading a multi-disciplinary team of design and construction professionals working for a public transit owner, I add value to policy and projects in transportation through influence of other professionals so they develop and deliver great projects as well as through the application of my own technical skills in design and construction project management, urban design, and site/facility design. 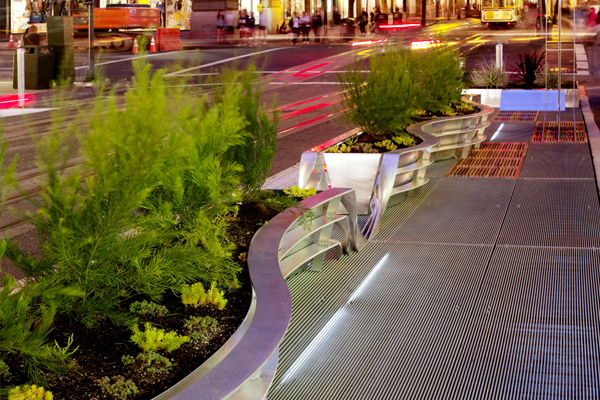 A transportation landscape architect is a landscape architect whose practice focuses on the transportation industry. I have been employed by a state transportation agency for the last seventeen years, and I love my job. As a transportation landscape architect I have had the opportunity to learn and grow in a challenging and diverse work environment. My practice involves all aspects of traditional landscape architectural practice and includes involvement with allied professions, including engineering, environmental science, and planning. My job is constantly shifting. One day I may be involved in planting design, the next specification writing, environmental documentation, report writing, and project review. My most recent work involved decorative street lighting design and a visual impact assessment. My next challenge is wetland mitigation and specification writing. As a transportation landscape architect, I am involved in all aspects of traditional landscape architectural practice and I know that my work in the transportation sector has broadened my practice. When I worked directly on projects, I designed pedestrian and bicycle facilities, streetscapes, completed planting designs, and took environmental issues, such as wetlands, into consideration. This work is accomplished by using some of the more technologically sophisticated equipment and programs available. I have written about and presented on the incorporation of environmental justice issues in the NEPA process and contributed to environmental documentation on topics that include social, economic, and environmental considerations. My job has allowed me to develop programs and write specifications for outdoor play areas. And because roadside environments are often the most degraded, revegetation strategies often employ traditional ecological restoration tactics. 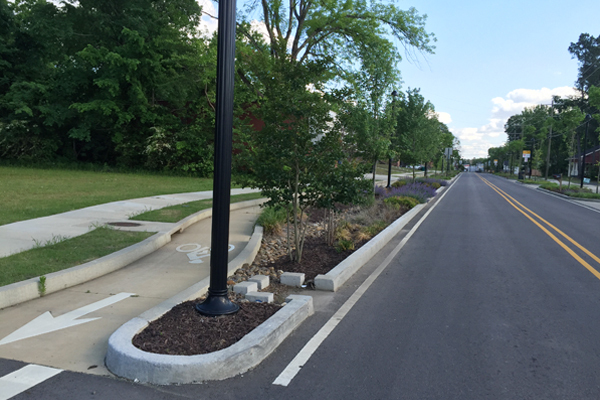 Clearly, landscape architects add value to transportation projects. Our training and skill set ensures that projects are environmentally sound, designed to human scale, and are aesthetically pleasing. Landscape architects have the ability to bridge allied professions, bringing together and enhancing the specific skill set of each and making the whole greater than the sum of the parts. I am a landscape architect who works on transportation projects, though any project with a pathway or sidewalk includes transportation. Transportation corridors, more often than not, account for the greatest amount of public lands within a community. I strive to reclaim public space from vehicles to re-allocate those spaces for people toward the cultivation of communities. Broaden—I have developed skills in green infrastructure, estimating, engineering, hardscape, planting, trails, transportation and community planning, streetscapes, plaza design, and community engagement. Specialized—I know more about site distance, turning radii, and coefficients of friction than I’d like. But these are tools of the trade like staghorn sumac, prairie dropseed, or butterfly milkweed. Probably most beneficial is being able to speak the language of a civil roadway engineer. Understanding the technical thinking and being able to translate that to clients and the community is a great asset for the team and clients. This is needed to develop trust. This value was applied just last week to a project that saved them nearly $1.5M in funding. Being able to communicate verbally and visually is a huge asset, particularly when engaging the public. Being able to communicate visually also helps develop buy-in on ideas that may be outside standard practice. Being a holistic thinker brings added dimensions to ‘point A to point B’ projects. There is a great opportunity to incorporate natural systems and native ecologies, include inclusive design, spur economic development, reduce impervious area, generate active public space, broaden community connectivity, improve health, and bring outside voices into the conversation. I truly try to listen and incorporate broad vision and goals into each project. Being a spatial thinker brings additional possibilities that may otherwise not be considered, accomplishing project objectives in a way that nourishes community development for all. Being a professional who aims to cultivate life often delights clients and the public. There is an energy and attraction to the natural world that can be tapped into through people, plants, and animals absent from vehicles. Projects become more meaningful. 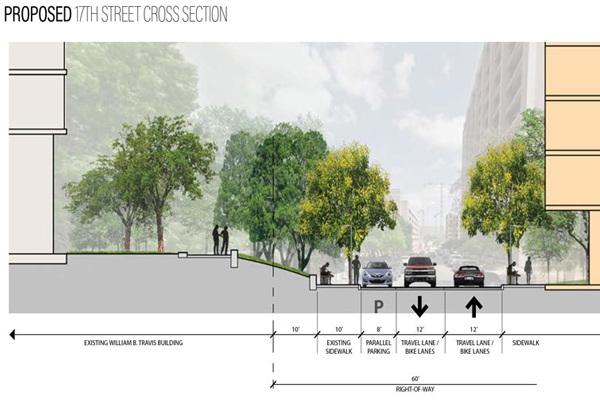 Many landscape architects work on transportation projects since circulation patterns are a major element of the landscape and transportation is the way many people interact with the landscape. 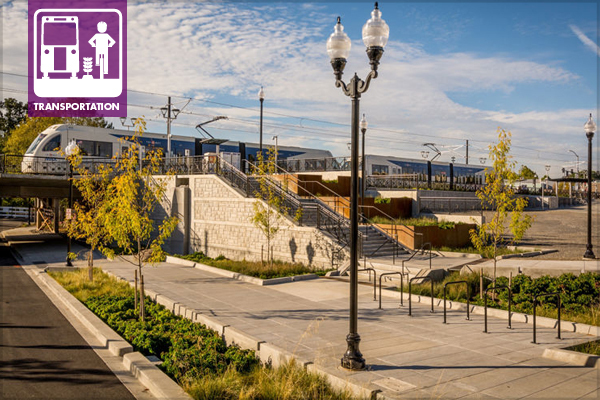 Transportation landscape architects are those who specialize in planning, design, and policies for transportation development. There are a wide array of opportunities for landscape architects in transportation working as policy makers, program managers, project managers, environmental analysts, designers, construction managers, inspectors, and more. Transportation projects bring together components of nearly all the topics of other PPNs and my career of over 20 years as a Transportation Landscape Architect has given me opportunities to work in a very broad and diverse range of projects that overlap with other PPNs. As a woman, I appreciate the work by the Women in Landscape Architecture PPN to help highlight the many accomplishments and to build a network among professionals across a wide spectrum of areas. Land Use Planning has a lot of overlap because land use and transportation patterns are intrinsically linked where decisions on one can not be made independently from the other. Digital Technology helps us to develop data driven decisions and create visuals to help communicate with the public. Issues of Environmental Justice, Sustainability, Urban Design, and Historic Preservation play an important role in the way we plan and design transportation projects. When a project advances into detailed design, best practices in Planting Design and Ecology and Restoration are important components to completing the project the right way. Landscape architects bring a holistic perspective to the many factors that affect transportation decision making, including public mobility, health, safety, and welfare as well as environmental sustainability, economic development, and aesthetics. 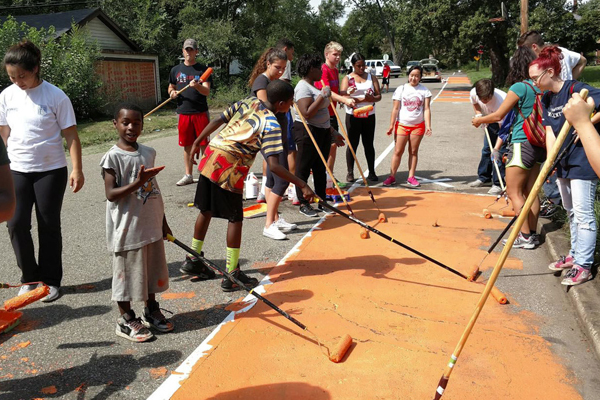 Public involvement is an important part of the transportation planning and design process. One of the strengths that landscape architects can bring is the ability to communicate with the public about the project from a perspective that considers what the community values most and to relate a project to the community and its surrounding landscape. A transportation landscape architect is a design professional that applies all of the principles of landscape architecture to our transportation environment. Many people think of transportation as simply roads and bridges, but we need to expand this definition to include aviation facilities, ports, and rails and trails. Our influence can be very broad in those features that are found alongside our transportation infrastructure. Before specializing in my career as a transportation landscape architect I had the opportunity to work in many of the more classic landscape architecture markets including private residential development, park and open space design, and resort and entertainment design. Those project opportunities influence the way I look at design on our transportation projects. Long-term care is of the utmost importance for many of the projects that I work on, and the experiences I bring from those other project types provide much value to the decisions I make today. Landscape architects are trained to look beyond a single design element and have the opportunity to educate other disciplines on the impacts of the decisions we make. Our education has trained us to look at the transportation environment as a whole and drive many of the technical decisions we face that affect the visual qualities of our projects. ‘Landscape architect practicing in transportation’ is how I prefer to define what I do. Most of us work on all levels, from policy and planning to corridor and modal projects and implementation. Although the scope of the projects are linear by nature of rights-of-way, the impacts are much wider and include land use, viewsheds, cultural features, public involvement, and forecasting the future with new technologies and trends. I think the overlap between what landscape architects practicing in transportation do and the Urban Design, Environmental Justice, Ecology and Restoration, Landscape—Land Use Planning, and Sustainable Design and Development PPNs seem most obvious. My work always involves balancing the transportation infrastructure within urban/suburban growth areas, impacts future land use patterns, and must respond to underserved populations through additional outreach and data collection. I think practicing in transportation broadens the scope of my work but also narrows the focus. It’s hard to find a practice type that affects so many people! As a landscape architect, I was looking well beyond the engineering solutions and always providing a voice for the transit, bicycle, and pedestrian users of the transportation systems. Often I was looking to link and mesh when I could see that projects threatened to slice and divide communities.